Tis’ the season to be Holly Jolly and Fa la la la la, la la la with lots to do and so little time to get it all done. Today definitely kicks off the Holiday season, and it is time to start preparing. Always here to help, we are making your Holidays a little less stressful and more merrier, with a Holiday Wishlist for everyone on your list! Take a look and let us know which is your favorite item on our list. It has become a lifestyle. Our family, specifically my daughter, lives and breathes American Girl. I think we count down to their holiday catalog and sale more than the last day of school! So here we are, ready to get dolled up with the Girl of the Year, Luciana. We can’t wait for this Science loving starlet to be your BFF. Stay tuned for more information on Luciana. A princess doesn’t just need her crown or a throne, she needs a palace! This play set of poise extends up to 2-feet tall to then open its doors to all its Disney Princess wonder. Each room, adorn with different themes of their Princess movies, is made to celebrate every magical imagination. We have been enchanted by its fairy-tale inspired accessories that make this portable castle a dream come true. Whether you’re a Doh Vinci or a Van Doh, this is a great kit for all kids’ artistic styles and desires. It’s 3-D Styler tool will allow any piece pop off the page, bursting with colors of your choice to take form of your wildest shapes and scenes. Stepping back from all screens, this is a great way to let our kids’ minds escape to what they wish to create and see in the world. The present is going prehistoric for this year’s holiday season! Roaring it’s way onto our Holiday Hot Gift Guide with over 40 different sounds and animations, these interactive dinos are ready to play! We love this creature companion that’s the perfect size to be on the go, and always comes alive with a surprise. Just like their wild friends, the Untamed Dinos, the Sabertooth tribe is digging their claws into some play time! With mighty long fangs and lion mane, we’re looking for this Target Exclusive to be our fierce friend! Don’t forget this Jurassic plus! Now that we’ve got our Untamed Dino’s, we’re looking for some actions with WooWee’s Untamed Jailbreak play set. Let “Infrared” rattle and roar in the cage, but pull the lever, and it will be ferociously free. She’s definitely cute, and she’s definitely fancy! Since we are huge fans of the show, we had to get our hands on this talkative and tiara wearing chick. The light up butterfly bracelet that matches Nancy’s ensemble will unleash all her fashionista features. Each press of a button will surely wow us with all her stylish switch ups! Osmo Detective Agency is definitely one of the top items on my kids’ Christmas list, and I’d love to take a take a turn! This detective game brings on the magic of mystery while offering education on geography, culture, and world wonders! It’s no clue why we want this unwrapped ASAP because we’re ready to go undercover. This animation station will have your princess set to play! Using the Osmo Super Studio sketchpad, a stroke of a brush will bring the characters and colors to a royal reality. For us, it’s “dream big or go home and dream bigger”! This will definitely keep our imaginations soaring. For Villainous, you’ll want to be on the naughty list! Ursula, Jafar, and Maleficent too, whichever villain you are you’ll want to be a competitors bad news. With everyone unleashing their evil plans, I can’t help but who’s the mastermind is in my clan! Pick a Dino or be on the run. Jurassic Park is all about a strategy to win while both sides are on each other’s tails. Don’t let the danger scare you away, it’s up to you and your team to win the day! I know my little man and his crew will be all over this. Definitely the cherry on top to this Gift Guide! When giving this Play-Doh set a whirl, you will definitely have a blast with your little ones making all kinds of swirls into the perfect Doh style ice cream. Press down on the handle to release your cream like creation, then pair it with a plate or cone to make it a true Doh dessert. Of course, you can’t forget the toppings, because whatever we whip up has to have a sprinkle! You can’t put a limit on cuddles. With this sweet kitten being able to purr, knead, and meow like a melody how could you resist this furry friend?! Especially one that doesn’t shed! We just hope our pet lizard, Elliot, won’t be jealous since we’ve been waiting for a “Joy” to our world. Our arms are wide open for these Fingerlings Hugs! These vibrant colored monkeys are sweet to the touch, with arms made to be embraced. With over 40 animations and expressions, they are filled with silliness and smooches. You can never have too many plush pals, especially that are this lovable! Tag! You’re it! We’re getting our superhero squad together and are ready for a blast of a battle with these Avengers Laser Tag Blasters. We’ve definitely got the high energy and competitive streak to play hide n seek, especially with these products giving it a special twist! Perfect for an indoor hangout or summer time play date, it’s locked and loaded for a good time. We’re looking to get board with this scooter and skateboard combination! When my son isn’t playing on the court, he’s always looking for new ways to stay on the move. This morfboard is definitely his answer to a need for speed, and a great source of exercise. For this special guessing game it’s time to get nosy! What’s That Smell will have you and your company snicker and smile as you sniff your way to win. With the scents going from sour to sweet, we can’t wait to fill our holiday celebrations with laughter and some competitive fun! A little wonder for your little wonder! Gigi the Baby Unicorn is magic at your fingertips, enchanting you with all kinds lovable animations. Interacting with sounds, touch, and movement I know my daughter will find a best friend with this rainbow critter! No need to turn through the pages of the legendary books, or press play on your favorite film of the series, because the world of Harry Potter has finally come to the muggle world! I think fan or not, at some point you’ve wished of having a magic wand. The simple flick of the wrist and you feel invincible at your fingertips. We are thrilled to see this come to life so we can have a little slice of sorcery this holiday. We’re getting into the key of Christmas this year with the Trolls Karaoke! Being able to store over 16 hours of music, showcasing a glimmering LED light show with every song, you won’t have to just sing Jingle Bells. This karaoke machine connects to any device with Bluetooth capability and can store any MP3 files of your choice! I already know my little superstar is looking for an epic mic drop moment. Whatever the song, we’re ready to sing along! It’s karaoke power is all in the mic, so you can pop up anywhere to be a superstar! Paired with a mood light changing base, sound effects, and even voice alteration features, you can perform a concert in the comfort of your home. We love to find moments for the mind that encourage growth and knowledge! Leapfrog is always an educational sidekick, allowing my kids to share their smarts while having fun. The Go With Me ABC Backpack is the best for learning the basics, and is a convenient portable playmate. Whether teeny or a tween, sometimes we have make to sure our kids scrub in the tub and the getting the job done. Fairytale Hair Care has been making sure of that for almost 20 years! Their shampoo and conditioners are a blend of essential oils that give a gentle cleansing treatment. Free of harmful ingredients like sulfates and parabens, their Rosemary Repel line is putting me at ease with the fear of a lice outbreak at school. Wouldn’t hurt to throw a little tangle tamer in there too! This beauty kit includes the ultimate brow and lip look enhancements. I was blessed with blonde brows, but when I’m ready to makeup and go out, I prefer a little definition. Their Revitalite Brow Transformer and Brow Lift are the duo meant to bring my eyebrows to a natural yet bold finish, making these baby blue eyes pop! With their Smooth Lip Volumizer and smooth + Plump Lipsticks, I’ll be looking to plump up the volume. I cannot resist the perfect pout with these rogue red and deep fuschia shades. Traveling far and wide can be tough of my body. Especially with this cold weather, I am bound to struggle with dry skin. Life Therapy offers a NEW travel kit of complete care and convenience for this mom on the go. Including mini hydrating lotions and mini body washes & bubbling, their signature scents consist of vitalizing citruses and soothing florals. Through their hydration and rejuvenation, this gift can easily be brought on any travels to provide a gentle journey on the mind, body and spirit! As we carry on through this massive and glorious gift guide, allow to slip into something comfortable. Not that I may or may not be in sweatpants already but I can always go toe to toe with a good pair of slippers. Giving my lazy looks a touch of personality, these are a must for me to be wrapped in warmth while I wrap these gifts. Everyday is an important day to learn to love the skin you’re in! The products of C’est Moi helps us add self care to our self love. Their (insert product here) and (insert product here) are cleansing collaboration we need to stay hydrated and blemish free. From care to cosmetics, C’est Moi also features a line of makeup! Giving us a beauty boost that supports cruelty free, hypoallergenic, and vegan creations! Yes. I’ll admit it! We’re obsessed (Maybe more just me). If I could have labeled this gift guide, I would’ve. For our everyday schedules, these labels help stop siblings wars over who’s is who’s! It only helps my addiction that their holiday themed labels are great for your stocking stuffers and greetings cards. Runamok Maple’s Vermonter’s Collection Gift Box ($29.95): Includes (4) 60ml bottles of Whiskey Barrel-Aged Maple Syrup, Cardamom Infused Maple Syrup, Cinnamon+Vanilla Infused Maple Syrup, and Elderberry Infused Maple Syrup. 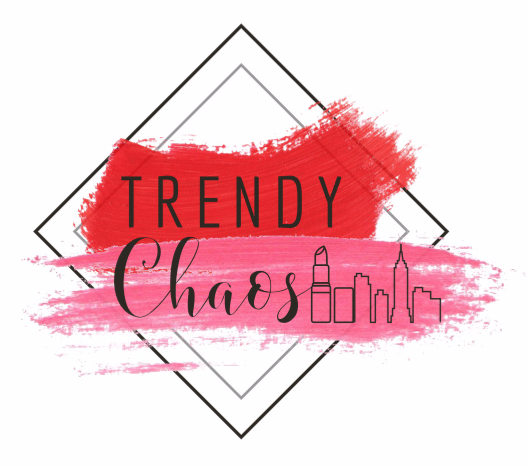 Disclosure: Thank you for supporting Trendy Chaos, this post contains affiliate links.